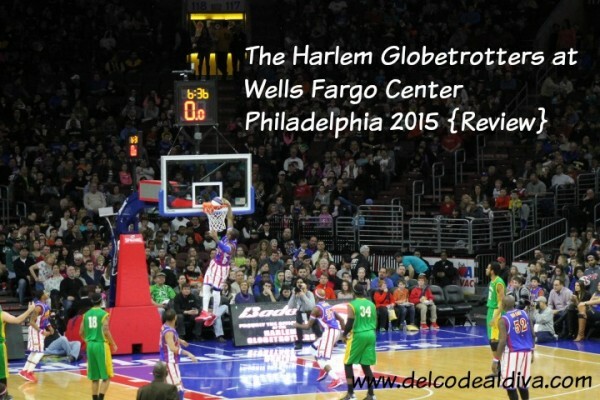 Disclosure: My family and I received tickets to the Harlem Globetrotters at Wells Fargo Center in Philadelphia to facilitate this review. All opinions are my own. 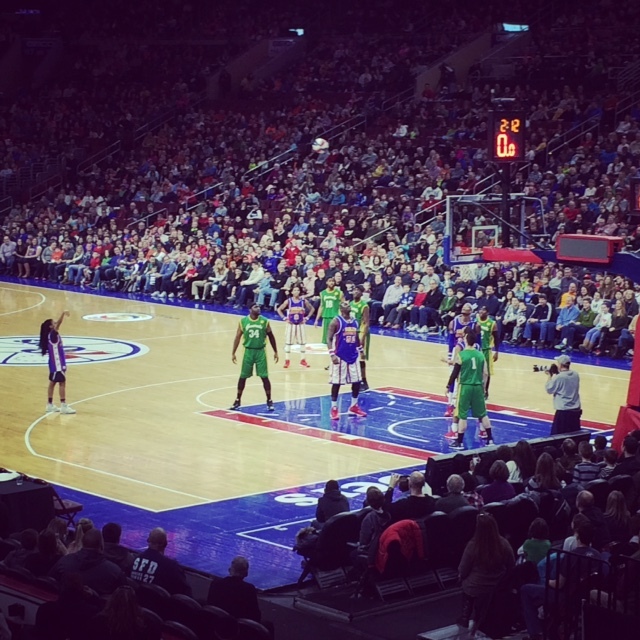 The Harlem Globetrotters were in Philadelphia this weekend and my family and I were lucky enough to receive tickets to their game vs. the Washington Generals at Wells Fargo Center. 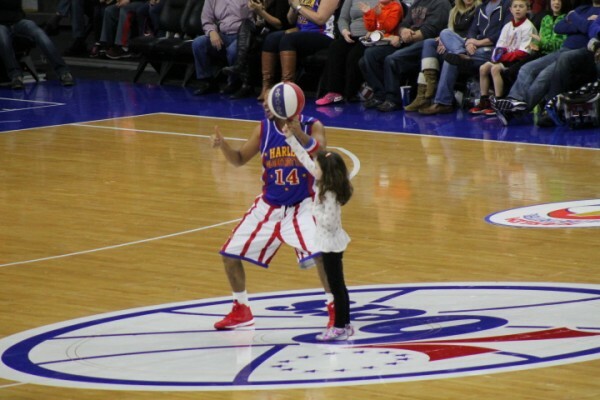 I have been to several Harlem Globetrotters games since I was a child and our family has truly enjoyed making our family day out to see the Harlem Globetrotters a yearly tradition. My kids had stayed over my parents house the night before the game and as we were making our way over to pick them up, my Mom told me that my son was not feeling well. I felt so terrible as I know he was looking forward to enjoying the game more than any of us. Sadly, we had to drop him off at my in-laws’ house to rest while my husband, daughter and I headed off to the game. My heart sank as we drove away. Although I knew that he was in great hands with his Nana and Pop caring for him, I felt terrible that he was not up to joining the fun with us. 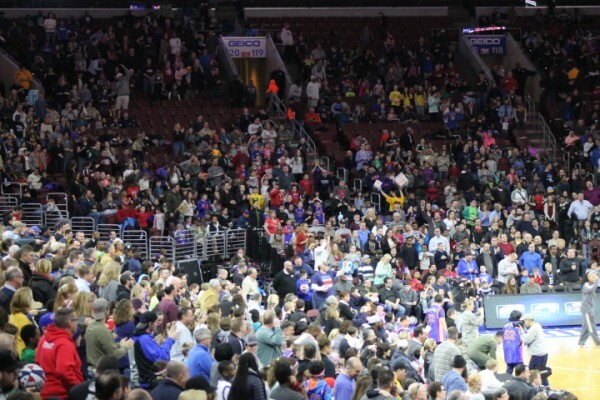 We got to the game and took our seats and I was amazed at how packed the Wells Fargo Center was! Looking around at all of the families enjoying a fun day out together, it really made me smile. Boy do these guys have a huge following! It was so fun to see so many spectators decked out in their Harlem Globetrotters jerseys and gear and just radiating with spirit and pride. 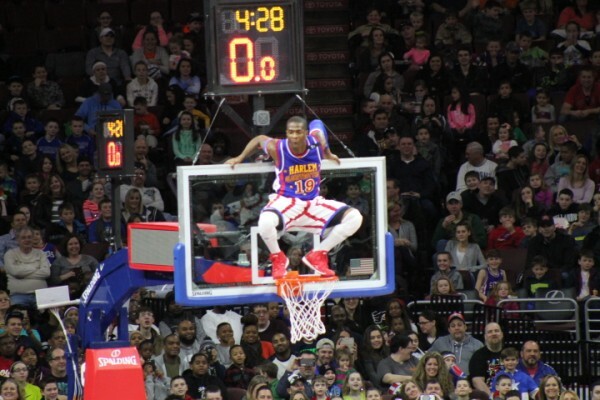 Not only are the Harlem Globetrotters absolutely hysterical, these guys are just incredibly and amazingly talented players. They make the game seems effortless. Their fancy footwork, style and athleticism just pulls you in from beginning to end. The non stop fun included everything from game play to interaction with the crowd to hip hop dance performances to hilarious pranks on members of the other team. 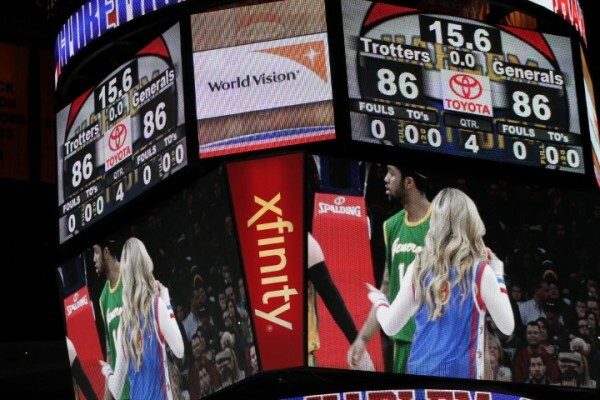 The unique and most appealing part of the game are the frequent “interruptions” – where the players head out to the audience and pull someone in to participate in some fun with the team or a player suddenly loses his uniform and is “embarrassed” that everyone is going to snap pictures of him and put it on Instagram! You will suddenly look up only to find that a player has made his way up onto the net and is now dancing and distracting the other team! The audience is practically roaring with laughter and smiling from ear to ear from start to finish! They certainly kept my 7-year-old daughter’s attention with no problem. Now if only I could bring these guys home to keep my kids entertained when I need to cook dinner every night! 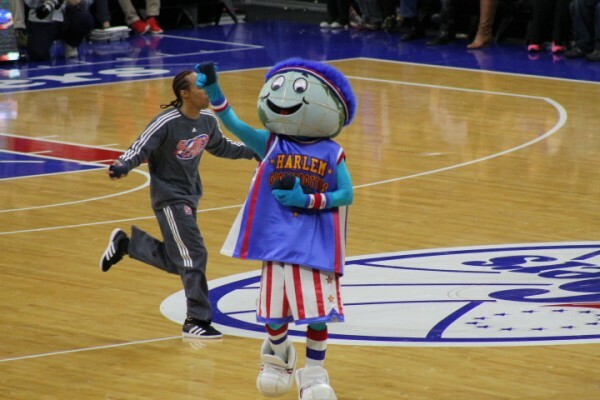 These guys are full of surprises and the crowd went crazy when Philadelphia’s own Mo’ne Davis joined the team on the court to show off some of her own talent! Check out her awesome 3 point shot! The team mascots were also a riot! 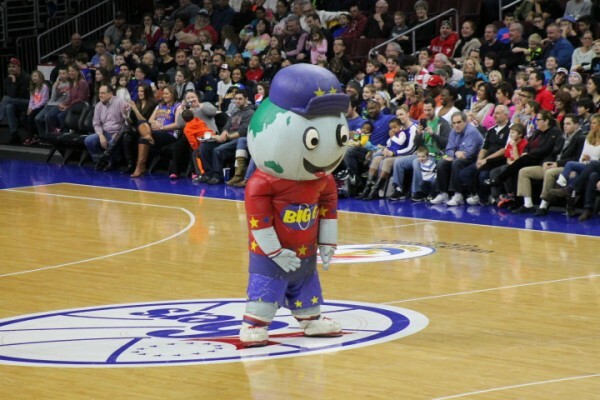 Globie and his brother Big G, strutted their stuff and showed off some of the silliest antics of the night. Big G sure can dance; let me tell you – he had our family belly laughing throughout his performance. The mascots were so entertaining, they could quite possibly have a show of their own. I loved every minute of watching them. The two hours flew by and my daughter was well behaved the entire time. At the end of the fourth quarter both teams were tied. 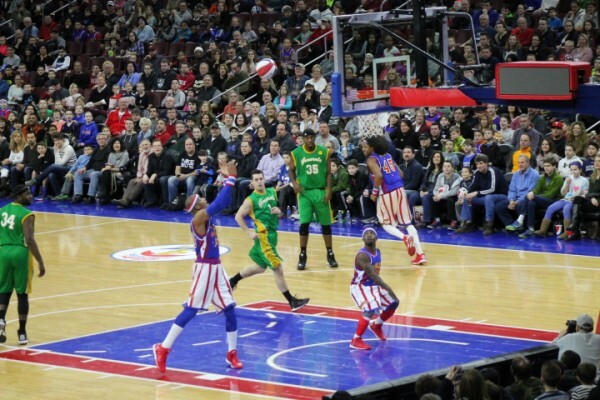 The last time the Washington Generals beat the Globetrotters was in 1971 so it quickly turned into a nail-biting situation as we sat on the edge of our seats hoping that the Harlem Globetrotters would be the first to score in extra time. 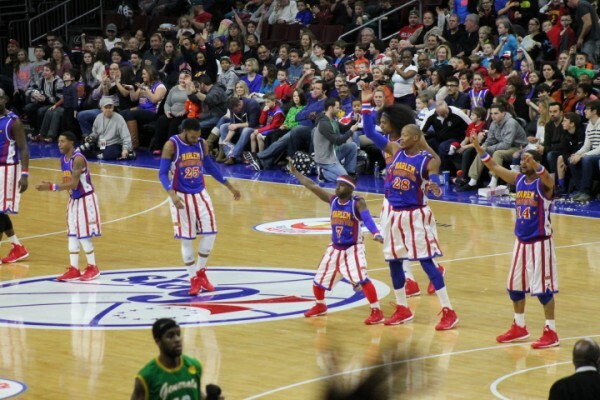 Lo and behold – the awesome Harlem Globetrotters scored the final winning basket, sending the crowd to their feet! What an exciting game and perfect way to end another aweome family day out! After the game, players welcomed fans onto the court for pictures and autographs. Obviously these guys love their fans as much as their fans love them. After heading to my in-laws’ house to pick up my son, he was feeling a little better and eager to hear all about the game. He told me that even though he was not there, he was already looking forward to heading to next year’s game with us. I hugged him and told him how much I missed him being there with us and I too, cannot wait to enjoy the game with him next year. The girls LOVED it when we went to see them! They are so much fun. I recommend this for kids and families too!